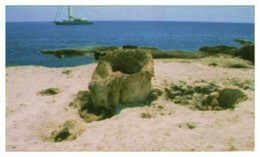 Elafonisos is located at the edge of the Neapoli bay. 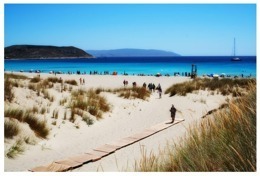 Its exotic beaches with sand dunes and cedars will surely amaze you. 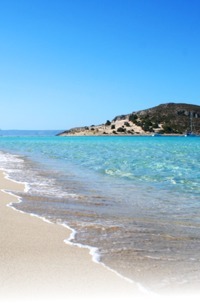 Particularly, the famous beaches of Simos and Sarakiniko, are considered to be two of the best in Europe. 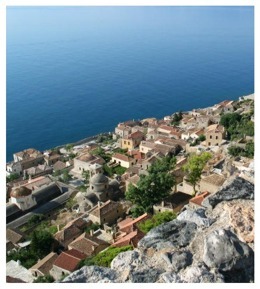 Only 350 meters separate Elafonisos from the Peloponnese coast, in Viglafia. There, you can admire the beauty of one more gorgeous beach, Punta. Visit the fossilised forest with the huge trunks and shells, close to the cape Maleas. It is a unique natural monument, which you should certainly visit. an hour driving from Neapoli.